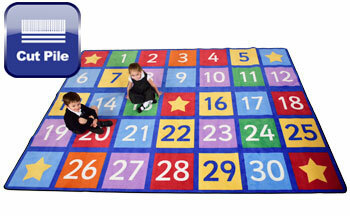  Large 2 metre x 2 metre carpet, specifically designed with Key Stage 1, Numeracy Curriculum relevance in mind.  Ideal for supportive group Numeracy activities. 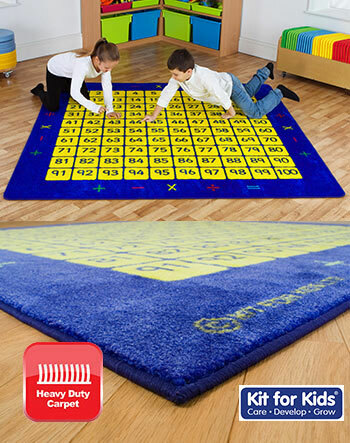  Large 2 metre x 2 metre carpet, specifically designed with Key Stage 1/2, Numeracy Curriculum relevance in mind. 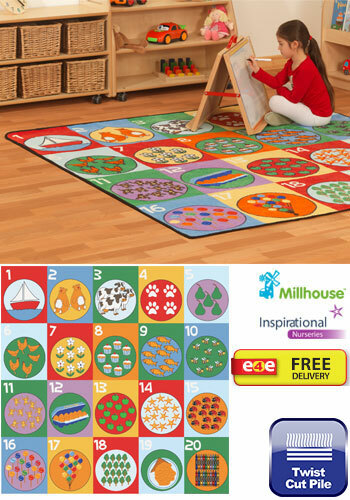  Highly visual, supporting times tables and group learning activities.  A brightly coloured 1.5 x 1m, 1 to 24 number carpet.  Great for basic group numeracy skills. 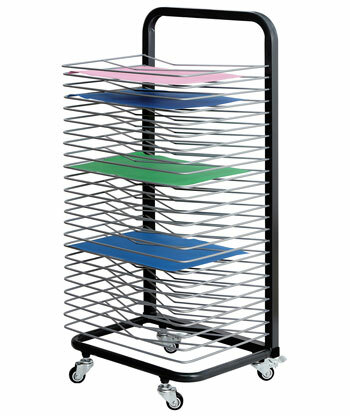  Ideal for walkways, receptions and classrooms.  Crease resistant with unique Rhombus anti-skid Dura-Latex safety backing.  Durable Tuf-Loop - Lighter in weight, tightly woven and robust soft textured twisted Nylon loop with a shorter pile. 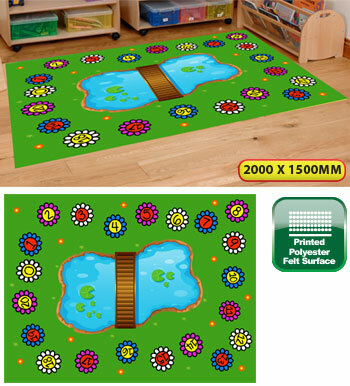  A brightly coloured 2 x 1.5m, 1 to 100 number carpet.  Dimensions: (WxD) 2000 x 1500mm. 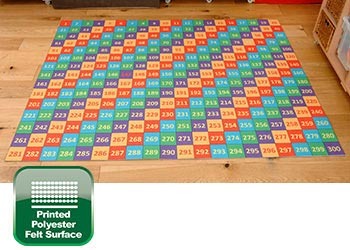  A large playmat suited to group classroom use, the Numbers In The Park 0-20 Playmat has clear and colourful graphics and is ideal for group and reading activities. 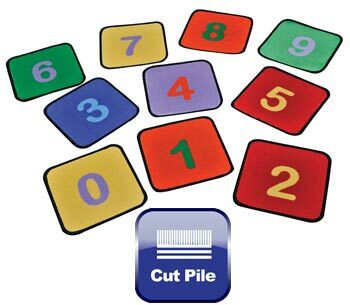  Ideal for teaching numeracy and counting activities. 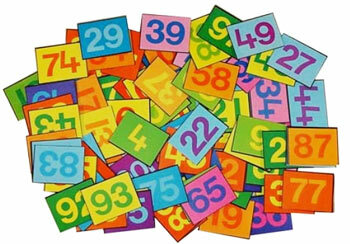 A great aid for teaching children number recognition from 1 to 30. Large enough to seat 35 children in total. 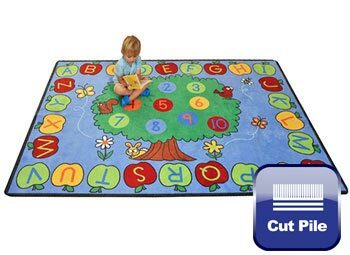 All our high quality learning rugs have double stitched edging, triple felt backing and feature lifetime anti-static fabric. 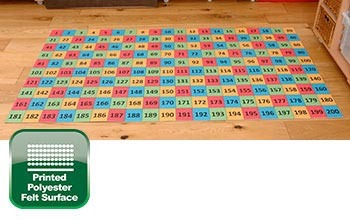  Numeracy carpet with numbers 1-20 as seating placements inside geometric shapes. 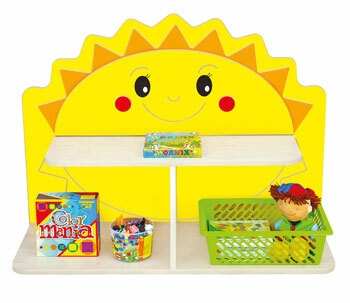  Ideal for counting games, story time, shape games and other educational activities. A super aid to help your children learn to count  featuring large numbers from 1  12 and bright fun everyday characters for children to recognise. 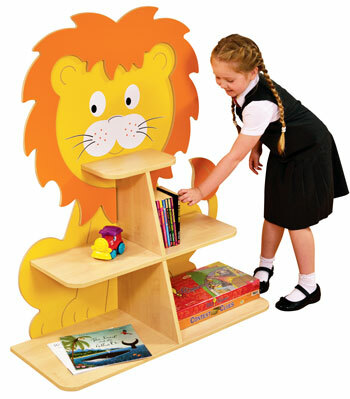 A novel approach to teaching colours, shapes and letters in a way that appeals to children. 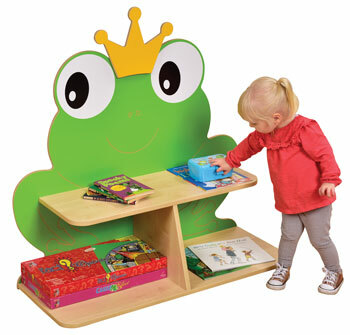 Designed to be a functional learning tool and decorative addition to the classroom. 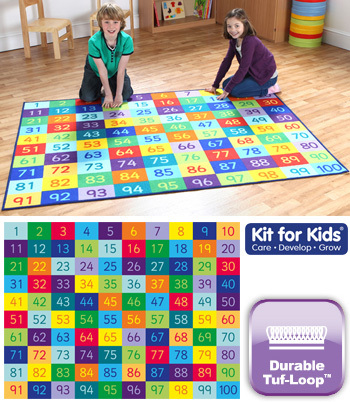  These colourful carpet squares really do make learning numbers fun for children. 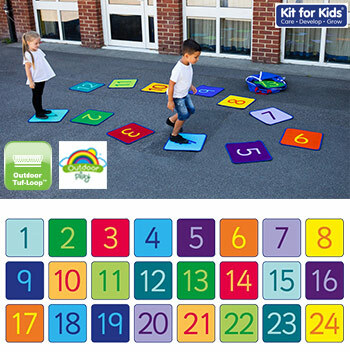 Arrange them to play hopscotch or use for a novel way of doing sums. The possibilities are endless. Number squares can also be used as childrens place mats. 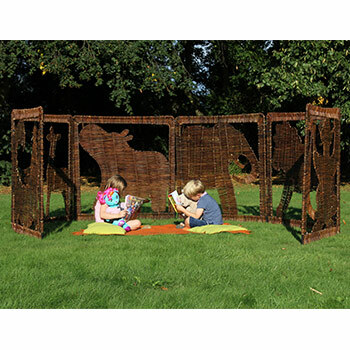  All Learning Rugs comply with EN71 safety standards and offer a lifetime limited wear warranty with a 10 year soil and stain protection. 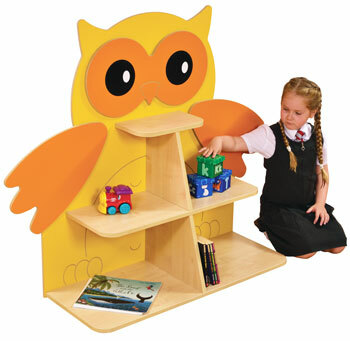  Highly visual products to aid the teaching of mathematics to a wide range of skill levels. 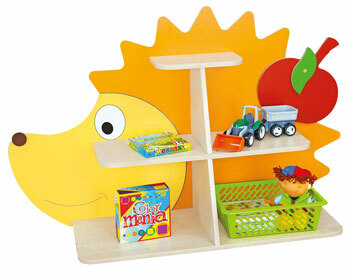  Encourages the active involvement of the children, especially useful for those with special learning needs. 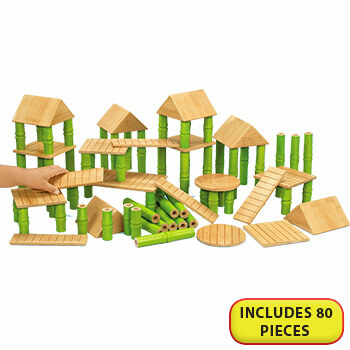  Primarily targeted towards very young children (21/2 -5 years), where visually appealing material is important and for those who have little or no previous knowledge of mathematics. 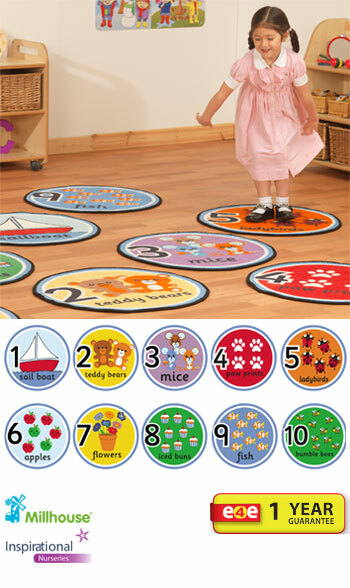  A set of 10 individual counting mats complete with fun and engaging illustrations. 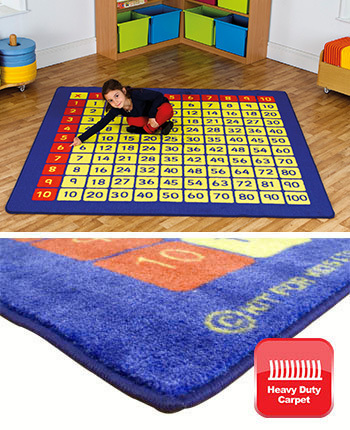  Perfect for interactive counting games. 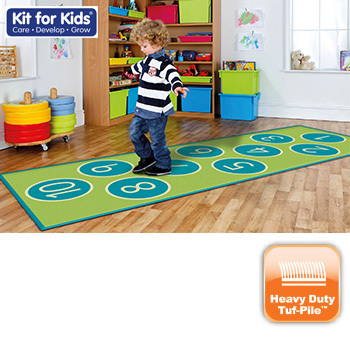  These mats benefit from triple felt backing and double stitching for improved durability.  Dimensions per mat: (WxD) 670 x 670mm. 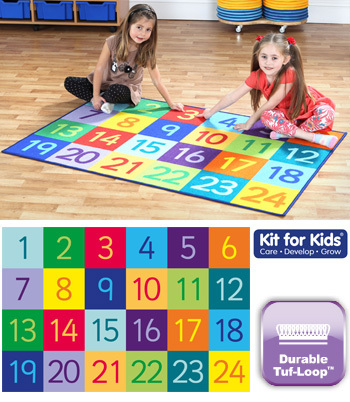  It's as easy as 1,2,3 with this colourful and simple counting rug. 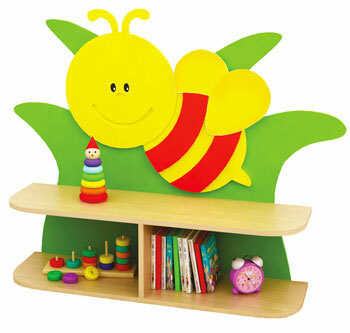  The vibrant design will brighten any room whilst introducing an element of fun.  Dimension: (WxD) 2000 x 2000mm. 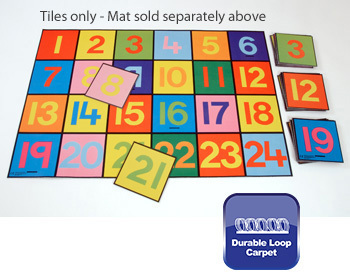  Brightly coloured 1 to 24 number mini mats. 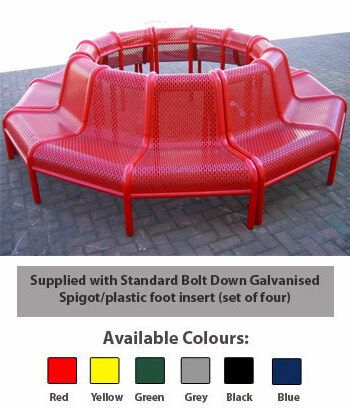  Only suitable for use outdoors. 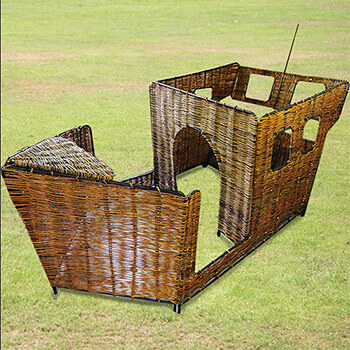  Crease resistant with unique outdoor Rhombus anti-skid Dura-Latex safety backing. 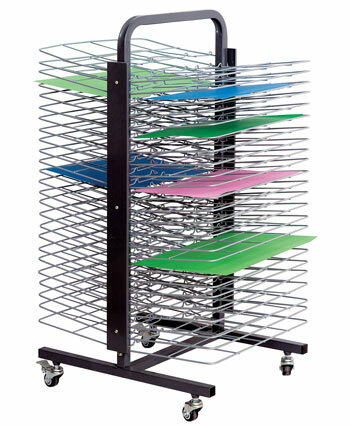  Dimensions per mat square: (WxD) 400 x 400mm. 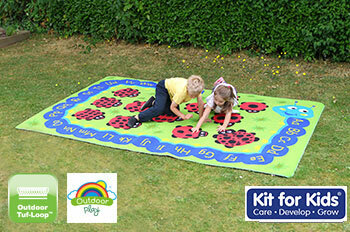  This fun 3 x 2m mat features a giant alphabet caterpillar and numeracy ladybirds. Great for cross-curricular use. 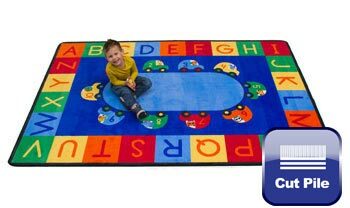  Brightly coloured 3x1m carpet, for use as a fun learning activity and also serves well as functional/decorative floor carpet. 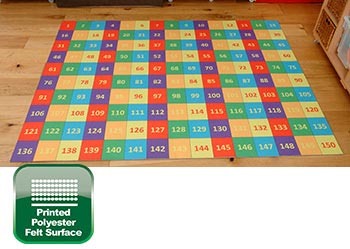  Why should numbers for early leaners stop at 100 a playmat showing numbers 1-150. 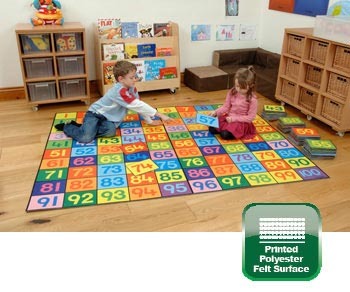  Why should numbers for early leaners stop at 100 a playmat showing numbers 1-200. 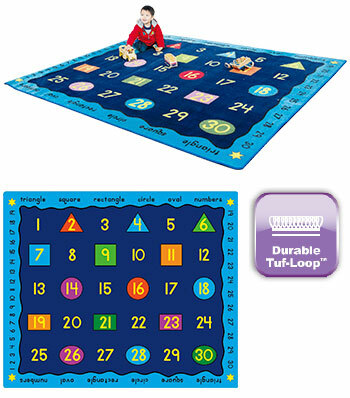  Why should numbers for early leaners stop at 100 a playmat showing numbers 1-300. 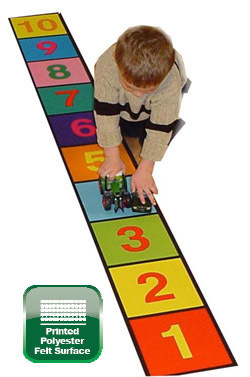  A number line that children can step on.  Aids the teaching of mathematics to a wide range of skill levels. 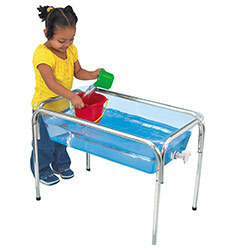 Encourages the active involvement of the children, especially useful for those with special learning needs. 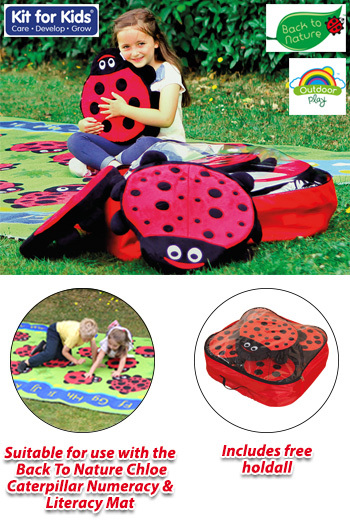  Made from anti-slip rubber-backed felt.  Made to order. Please allow approx. 4 weeks for delivery.  Dimensions: 2000 x 1500mm. 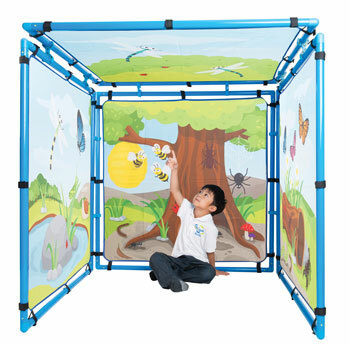  The products encourage the active involvement of the children, especially useful for those with special learning needs. 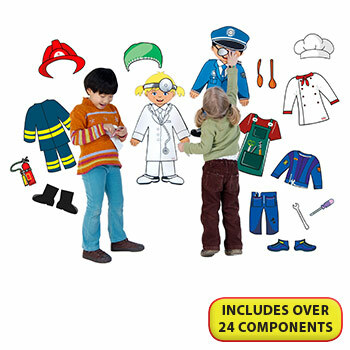  The Basic Number Work products are primarily targeted towards very young children (21/2 -5 years), where visually appealing material is important and for those who have little or no previous knowledge of mathematics. 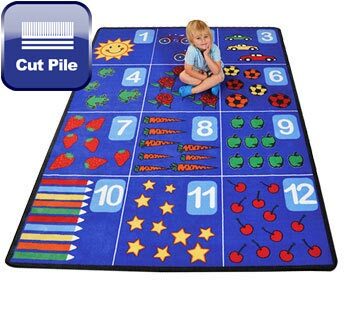  Large, brightly coloured carpet with timed activity course where children are encouraged to complete set activities on each of the 10 section of the carpet.  The course can be completed in 1 minute. 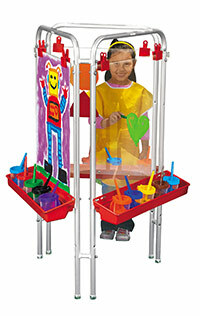 Detailed teaching instructions included with various activities to get children fit and active. 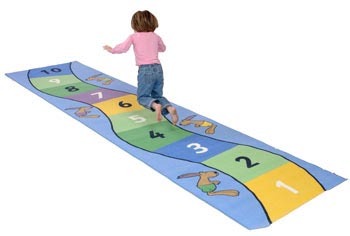  Encourage children to jump as far as they can with this large and colourful standing jump carpet. 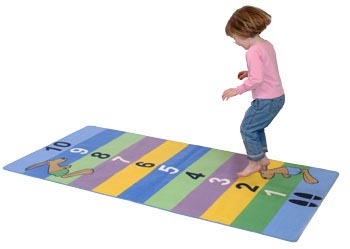  Other activities include jumping onto a specific colour or doing specific combinations of numbers to provide different physical activities.  Teaching instructions with different exercises included.